Men are clamering to reach the next level of fashion, part of that experience is to wear what they are now calling skirt. If indeed men are wearing skirts its because, we are not making that which is for man; for the moment the most commonly acceptable garment of the genre are kilts. Every man should have one, but it must be called Manche, when not specific to ethnicity. 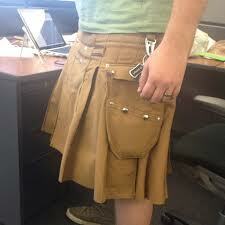 Be the first to comment on "A man in skirt?"